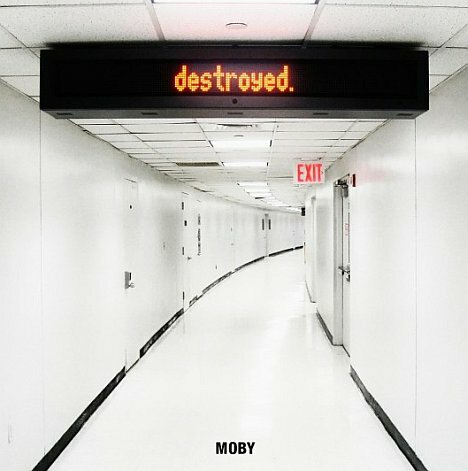 für mitte mai hat moby sein neues album „destroyed“ angekündigt. 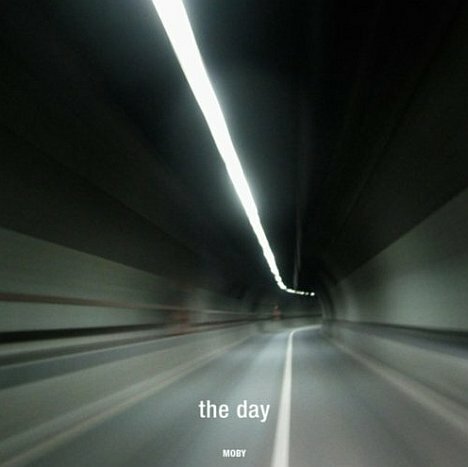 hier das cover der vorab single „the day“. my next album is called ‚destroyed‘ and it comes out in the middle of may sometime. musically it’s very melodic and atmospheric and electronic, and if i had to sum it up i would describe it as: ‚broken down melodic electronic music for empty cities at 2 a.m‘. that’s what it sounds like to me, anyway. and the music was all originally written late at night while on tour, as i often have insomnia and spend a lot of times awake in hotel rooms at 2 a.m when everyone else in the world seems to be asleep. so rather than buy more drum machines on ebay (as nice as they are) i try to spend my insomnia time working on music. then i take the songs back to my studio and try to finish them with my weird collection of old, broken down drum machines and synthesizers and i try to convince my friends to sing on it (my friends emily zuzik, inyang bassey, and joy malcom sing on the record, as do i). then i put the songs on a record. then i call it ‚destroyed‘. then i put it out in may of 2011. at least that is the plan. Dieser Beitrag wurde am 05.04.2011 in Musik abgelegt.